A group of companies with a financial stake in the Obama administration’s strategy to reduce emissions on public lands are sounding the alarm on President Trump’s likely attempt to walk back the Bureau of Land Management’s methane rule. 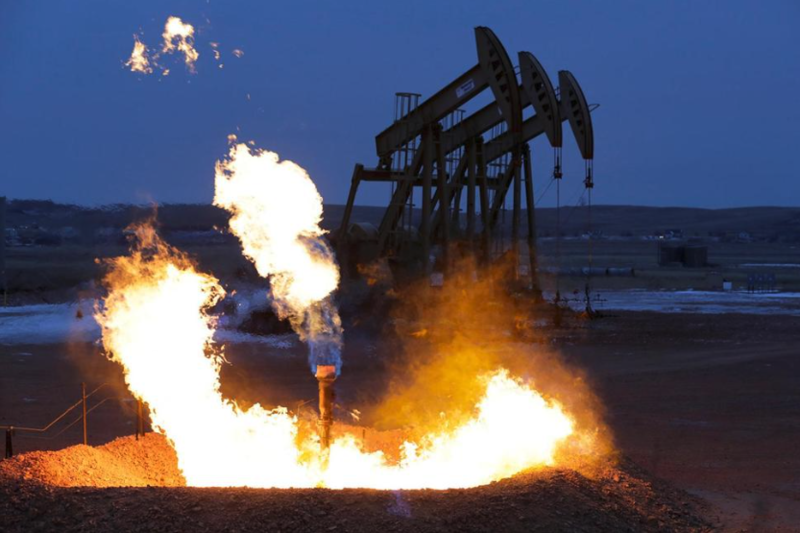 GOP lawmakers appear poised to strike down the BLM action to curb natural gas flaring, venting and leakage from oil and gas production on public and tribal lands. House Majority Leader Kevin McCarthy (R-Calif.) has said legislators could invoke the Congressional Review Act, which authorizes a simple majority in both chambers to overrule federal regulations enacted within the last 60 legislative days (Greenwire, Jan. 25). Firms that help operators detect and repair the gas leaks the BLM rule targets were surprised by industry replies that federal oversight on methane would kill jobs and cut profits. Maintenance workers who can patch oil field and pipeline breaches will be in high demand under the BLM plan, Allison Sawyer, CEO of Rebellion Photonics, a company that creates tools to pinpoint leaks, said yesterday on a conference call to reporters. “If you’re trying to create good, blue-collar manufacturing jobs that can never be exported, this seems like a home run,” Sawyer said. There are also economic benefits to methane capture, said Jason Libersky, co-founder and CEO of the engineering and analytics firm Quantigy. One client has saved $1.7 million to $2.2 million per year by collecting and selling methane, rather than allowing the gas to escape to the atmosphere, he said, noting that savings vary based on producer and location. “Before utilizing contractors to go out there and repair issues, we also have huge cost savings for the end user, and that’s on top of the environmental impact we have,” said Craig O’Neill, senior district sales manager at FLIR Systems. The economics of methane capture would be more favorable to industry if federal regulators didn’t step into the process, said Kathleen Sgamma, president of the Western Energy Alliance, a regional trade association. Sawyer, Libersky and O’Neill spoke yesterday on a conference call led by the Center for Methane Emissions Solutions (CMES), a coalition Sgamma says has “confused” some companies into believing federal methane regulations are the path to increased market share. The Western Energy Alliance has helped spearhead legal opposition to BLM’s methane regulations. The U.S. District Court for the District of Wyoming last week denied a request by the alliance and other parties to stop implementation of the rule (Energywire, Jan. 17).